As an expert in your field, you have the knowledge and understanding that needs to go into the game. However, you might struggle with the game design itself. I can work with you to help turn your knowledge into a game that achieves what you want it to. This “taster” workshop can be the beginning of a game design process. I can work with you to develop the workshop results into a completed game over a couple of months. On its own, the workshop will give you a glimpse of the power of games and you can use the results to show others your ideas. – Meaning: what do you want players to take away from the game? 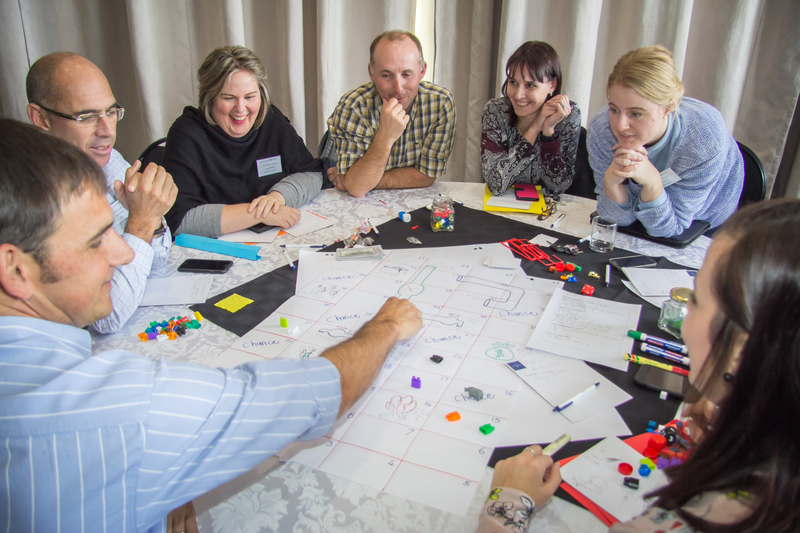 – Play: how do we create a fun, engaging experience? I can also tailor the workshop to your requirements. Interested? Let’s start talking. You can contact me here.